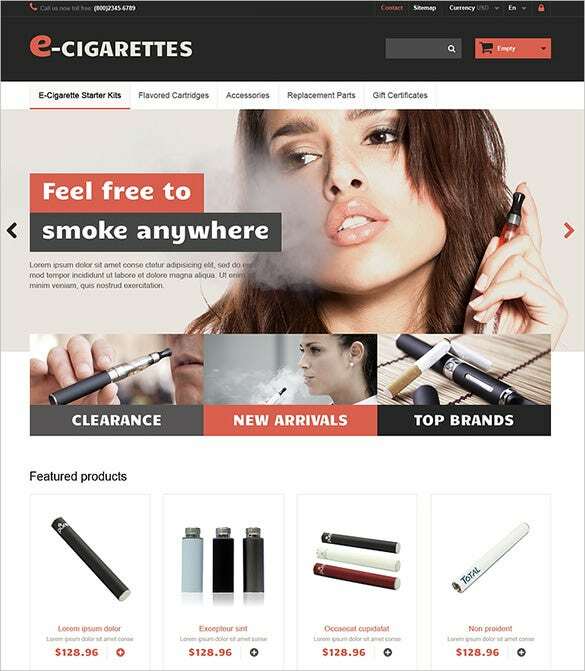 Use PrestaShop Tobacco Themes to create an open-source solution with front-end approach. It has 100% fully responsive and versatile designs which you can create for multiple website categories.The free template installation very easy and the content and the HD images can be easily embedded on the website. Select from the huge collection of premium samples available for instant download.You can also see Antique Store PrestaShop Themes. The free template installation very easy and the content and the HD images can be easily embedded on the website. 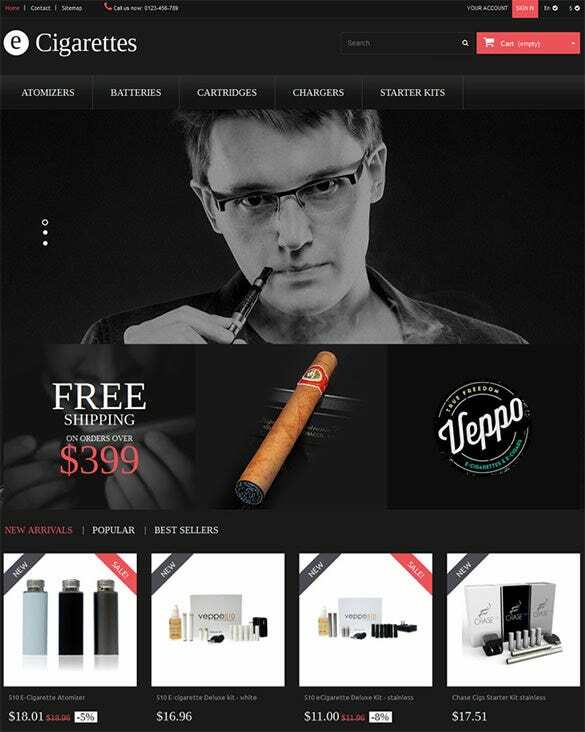 Cigars is a Premium Tobacco PrestaShop Theme with niche layout that promises perfect product presentation, vibrant designing, and user friendly structure. Features include Online Chat, Bootstrap, Sample Data Installer, and Theme Colour Switcher. 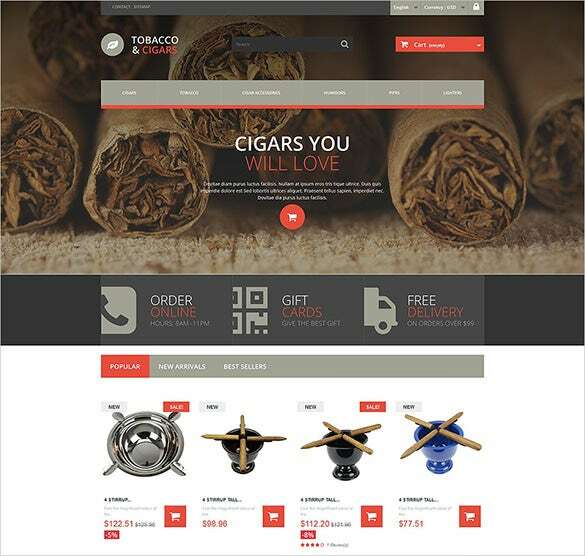 Cigar Smoking is a Beautiful Tobacco PrestaShop Template that’s compliant to all coding standards and comes integrated with niche Font Icons and Grid/List Category View. Additional features included are Google Map, Tool Tips, Tag Cloud, and Cross-browser Compatibility. 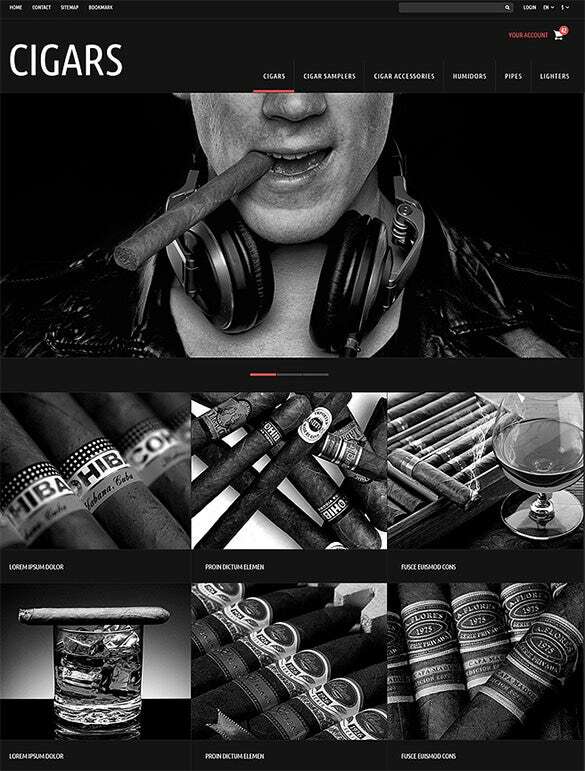 Tobacco & Cigars is a Cigars Tobacco PrestaShop Theme that makes use of natural tobacco colours to create a niche effect for websites. Search Engine Friendly, this theme features a smart Admin Panel and Theme Colour Switcher with Bootstrap to make maximum impact. 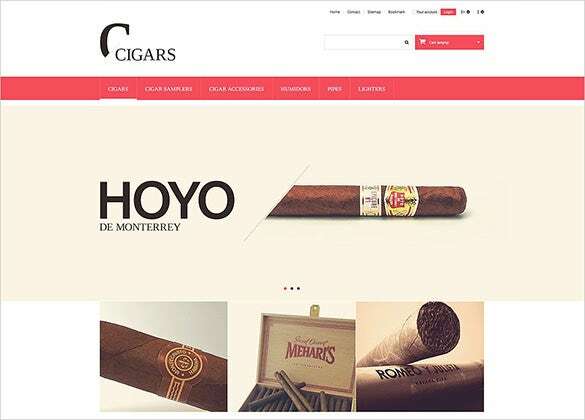 Cigar Smoking Diversion is a Premium Cigars Tobacco PrestaShop Theme that helps in creating a niche image for any online store dealing with tobacco business. It comes with Patterned Header and Footer, Categories Accordion, Live Search, and Online Chat. 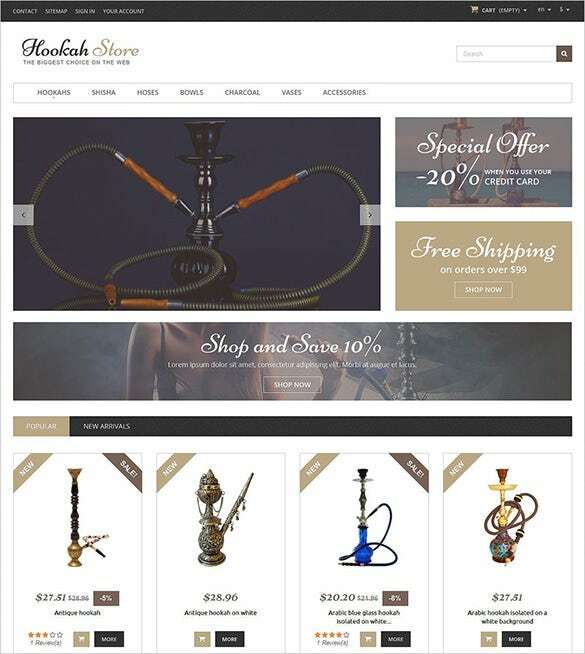 Tobacco Responsive is a Hookah Tobacco PrestaShop Template with 100% Responsive Outlay and Effortless Installation. A series of niche features include Admin Panel, Sample Data Installer, Wish List Page, and Bootstrap. 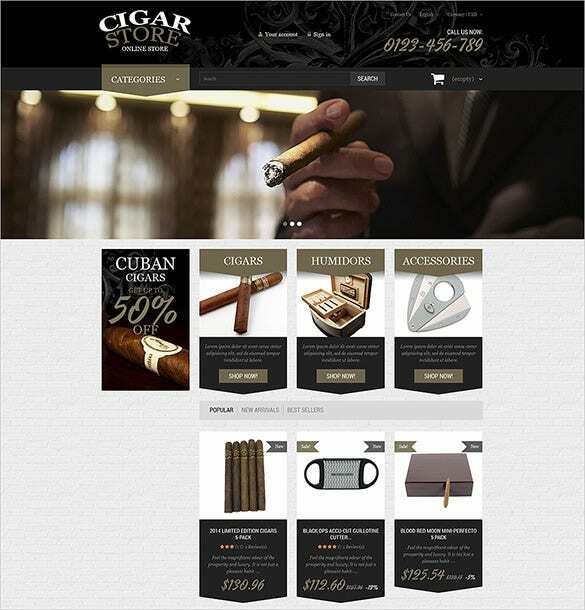 Cigars is a Perfect Cigars Tobacco PrestaShop Theme designed keeping in mind the modern web development guidelines. It comes with a niche set of features like Customized Admin Panel, Sliced PSD, and Sample Data Installer. 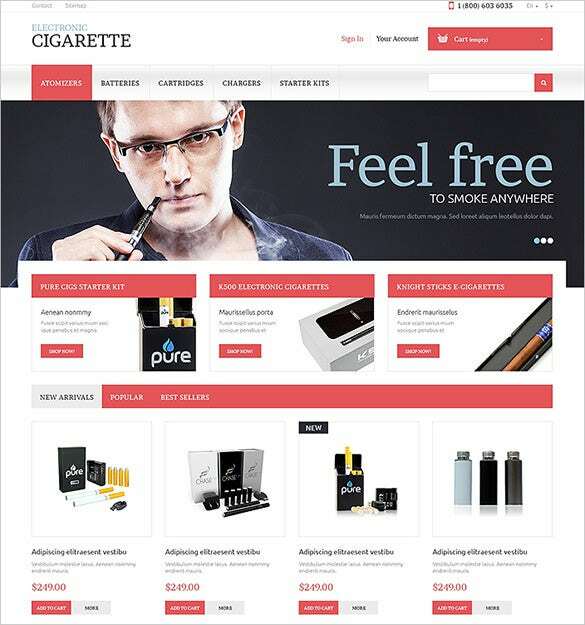 This theme is designed for online stores selling electronic cigarettes. This is a well documented theme that has a fully responsive design. It supports multiple languages. Different categories of products are displayed in grid or list format. It sells products in USD, EURO currencies only. This theme comes in a white and black background. It includes wish-list page and it can be installed easily. It supports languages, namely, English, Spanish, German, French and Russian. It has contact form and advanced search option. One can subscribe for news-letters also. This theme also has a white and black background. Social sharing options are available. It includes many font icons. It supports English language only. Products are showcased in grid and list categories. It features a drop-down menu and a responsive design. The free template installation very easy and the content and the HD images can be easily embedded on the website. Select from the huge collection of premium samples available for instant download.The different features like product comparison, stock management, cross-selling, SEO friendly URL structures, integrated payment structure, multiple currency options, have made the PrestaShop one of the most popular options among the web owners. So try out-of-the-box designs now and forget the traditional ones. Electronic cigarettes are increasingly becoming popular. 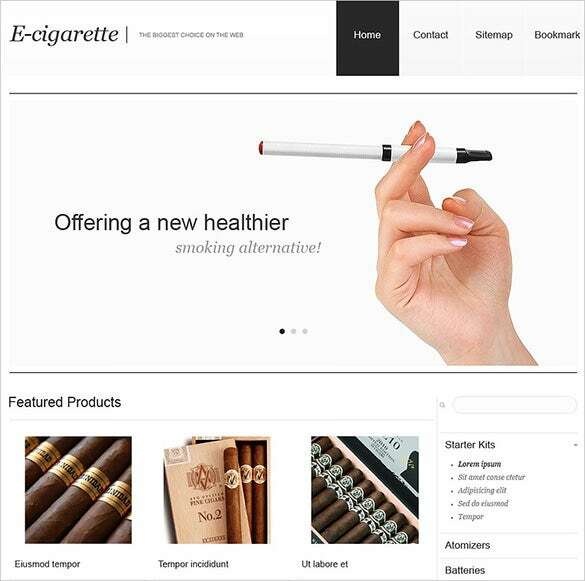 These themes thus are designed to enhance this new business of selling e-cigarettes online. Most of these themes are well documented. They have different font icons and social media icons. One can subscribe for news-letters using these themes.